Fields, rice fields and forests in my hometown were reclaimed and razed to build an industrial complex. A professional described that ‘Nature is practically nought for the government. In other words, Nature is unprofitable and unvaluable. ‘ In the economically centered modern society, is the Nature not necessary at all? 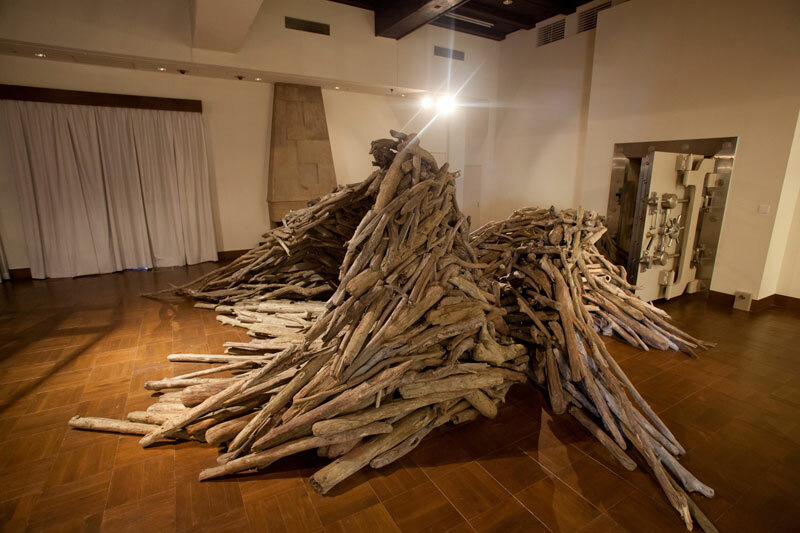 Driftwood is the symbol of the dynamic natural circulation such as rain falls on the mountains,it forms river into the sea, and water vapor moulds cloud to rain on the mountain…. This cycle gives not only new lives and harvest, but also it has asperity of claiming lives. Human being is a part of the natural circulation and living in it. When I create driftwood work, I always look at wood carefully one by one to choose the strongest line, which indicates the direction the wood lived. And I connect them to make a form. This is like a fight or conforms between my whole ideal form and the unique line of the driftwood. 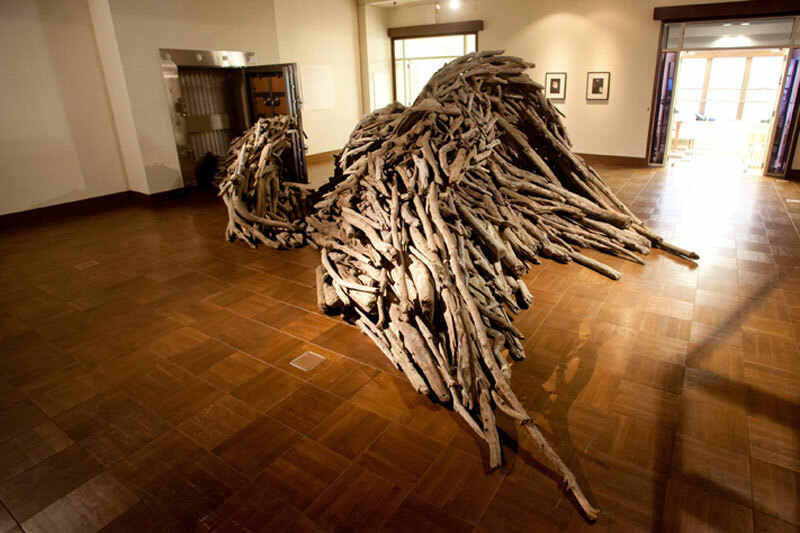 It is the time to listen the voice of driftwood and confront nature of nature. If the vault door indicates monetary society, driftwood is the antithetical symbol of Nature. It is your choice to see this work as the confliction or microcosm of the city and Nature.